The Ukrainian Euro 2012 squad has finally arrived! 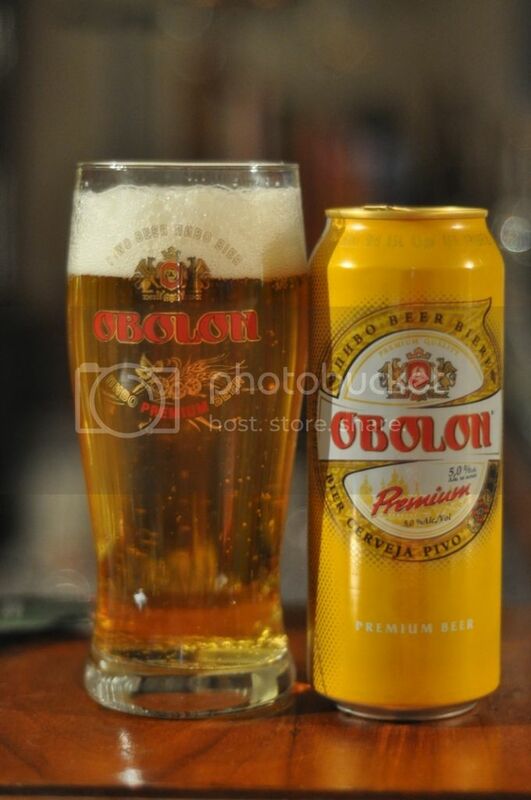 Only a couple of months late for the tournament... All of the beers look good but I've decided that Obolon Premium will be the beer that will represent Ukraine in the European Beer Challenge. Last night I drank the other Ukrainian beers that I was sent and was suitably impressed. I was also pleased to note that the beers didn't seem to show any signs of damage due to the 3 months they have spent on a boat on the way to Australia. Hopefully this is a nice easy drinking lager, like the Chernigivske one I had last night. Obolon Premium, poured like an Euro Pale Lager should. The beer is a light golden colour with a good three fingers of white head on top. The head is made up of quite large bubbles and dissipates quickly leaving no sign it was ever there with only tiny bits of lacing. Still it's better than what I was expecting. So onto the nose and pleasantly there is no skunking present in this beer either. There are some nice bitter malts up front with some strange smelling hops towards the back end. These seem somewhat bitter but unlike any variety I can think of. The overall aroma is relatively light and doesn't leave any negative impression, all I ask of a macro lager. Ukraine gets a tick in this column. Ukraine's national lager is actually a pretty reasonable beer. The grains are both sweet and sour at different points through the drinking, which is somewhat unusual. The hops are mildly bitter and really unusual as well. This is why I like drinking lagers from different parts of the world, the different hops and malts make for huge differences in flavour. Obolon Premium was certainly different, but definitely drinkable. This is a serviceable lager. It's quite easy to drink and I certainly wouldn't complain if given it again, however it should be noted that it is nothing special. If in Ukraine the beer I would suggest is Chernigivske Bile, an unfiltered Witbier which was delicious. A big thanks to Anton for securing these beers for me, it brings us one country closer to completing this challenge. If you can help me with any of the remaining countries or just have any beer related questions feel free to contact me at gus.norris7@gmail.com.